To help relieve the conundrum and angst that can ruin the jolly art of gift-giving, why not drop some hints? Sure, it might ultimately take the surprise out of opening your gift, but then again, you’ll get something you truly love. And just think about it this way: You won’t have to fake an enthusiastic, “Wow! How did you know? It’s just what I needed!” response, when all the while, you’re silently hoping they’ve included a gift receipt so you can surreptitiously return it after the holidays – and get something you actually could use. Because sometimes it pays to ask for what you want. 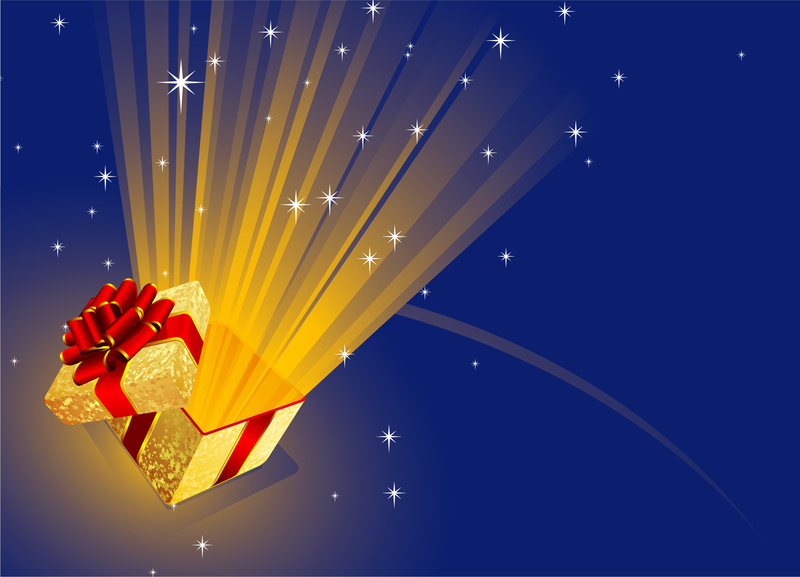 Special surprise to my readers: Hidden within this gift guide are some giveaways. Mention the *right* product in your comments, and you’ll be entered to win it! Comments must be received by midnight, Friday December 18th. Hint: I’m so sore! I’m so stressed! I wish I had my own personal masseuse. Gift Solution! A personal masseuse may be out of the question, but here’s the next best thing: Your very own personal Quad Shiatsu Massage Cushion ($199.99) made by Homedics. Place it on your favorite chair, plug it in and be prepared for some serious pampering with heat, three different massage styles and a huge dose of relaxation. I dare you not to say a big ahhhhh. It’s likely you will not wanna get up and move for a good long time. Hint: I feel like a pack mule lugging all this stuff around. Gift Solution! Let your vest be your personal butler and do the heavy lifting. ScotteVest has pockets galore – enough to hold all your gadgets and daily essentials and other stuff. Go ahead and throw in that extra lipstick, and while you’re at it, take your iPad along, too –there’s plenty of room to spare. Their RFID travel vest for women ($135) has a total of 18 pockets to stash valuables like travel documents, cell phone, iPad, Kindle, books, maps, magazine…well, you get the idea. Hands-free never sounded so exciting. Hint: *&@#! I need to figure out a place to stash this next time. Gift Solution! Run better and run unencumbered with a fitness “belt” that doubles as a fashion accessory. The DBelt ($39.95) holds all your essentials, so you never have to be stranded without a phone, ID, keys, cash and credit cards (After all, you never know when the urge to shop will hit.) It’s made of a cotton/spandex blend, so it fits right into the sporty look you’re after when you’re out for a run, even if you’re not a marathoner. Hint: No, I’m not planning on growing this out for Movember. Gift Solution! You can wax, you can shave, or you can take another approach. Dermaflash ($189) is at at-home device that sweeps away facial hair and smoothes your skin at the same time. Never be caught with that lip- shadow or fuzzy-face again. Known as “dermaplaning” in the aesthetic world, this method used to be performed in salons. Now, you can sit at home and be your own beauty beast, eliminating all traces of facial hair. And don’t worry, like all good myths, this one is not true, either: The hair does not grow back thicker. Hint: Excuse me (again). Gotta go (again). Gift Solution! Too many women are embarrassed to discuss things like this with their healthcare professional – and too many healthcare professionals are too embarrassed (or busy) to ask. But pelvic floor weakening and vaginal relaxation is a major concern for more than one-third of women post-childbirth– and as a result, between 30 and 50 percent of women middle-aged and older suffer from urinary incontinence. While various treatments are available in physician’s offices, VSculpt ($345) is the first at-home medical device that uses safe therapeutic red and infrared lights (LEDs), gentle heat and sonic technology to rejuvenate your VIP (Very Important Parts). Hint: I’d bat ‘em if I had ‘em. Hint: I hope I don’t buy full-fat yogurt instead of fat-free. And I sure pray I don’t give the cashier a $100 bill instead of a $1 bill. Gift Solution! Because we usually misplace or forget where we put our glasses (or leave them behind, altogether) Thin Optics ($24.95) has figured out a way to never be without your reading glasses again, offering two ingenious options: Their thin, small and lightweight glasses and universal pod case are small enough to store in your wallet, purse or pocket or even stick onto your cell phone case (or any other device); they even make their own phone case that has the universal pod holder already built in. You’ll never reach for the wrong yogurt – or hundred dollar bill – again. Hint: I’ve been spending way too much money on taxis and Ubers. Hint: I need to cut out frivolous extras so I can save to take you away for a special romantic weekend. Gift Solution! The Remington Triple Infusion Air Styler ($39.99) puts the power of the blow-out back into your able hands. The infusion of three nourishing oils in the barrel’s ceramic coating releases onto your hair during styling. What you get in return: frizz protection, volume and wondrous waves. Hint: If I had a genie in a bottle, I’d ask her for a steady dose of motivation, all year long. Gift Solution! With the Fitbit Charge HR ($150) on your wrist, you can feel assured that someone, or something, cares. The device tracks your heart rate, steps and distance and even tallies the calories you burn with all your heard work. Lest you need a reminder of how awesome you were last week, you can access a summary of your accomplishments. And the Fitbit stays with you 24/7; if you care to wear it to bed, it will monitor the length and quality of your zzz’s and even wake you gently the next morning. This is really a brilliant post to help those who get stuck when it comes to gift giving. Gift giving is not a rocket science but choosing a good gift that the receiver will appreciate and use ( and that too without burning our pockets ) is also not as easy as eating cake. I am not much into gift giving and I prefer exchanging sweets and chocolates on festivals, because chocolates are appreciated by all . Just bought the Fitbit HR for my boyfriend L and he likes it. I hope he gets a lot of good use and inspiration from it! What a nice gift, Judy. Like all your writing, this is one of the most creative gift lists I’ve seen! Thanks, Irene! And thanks for letting me know; much appreciated. Yes, what Irene said. Very creative list–loved it. Man, I need to check out that eyelash product. I am having to wear about twenty coats of mascara just so people can tell I have eyes.